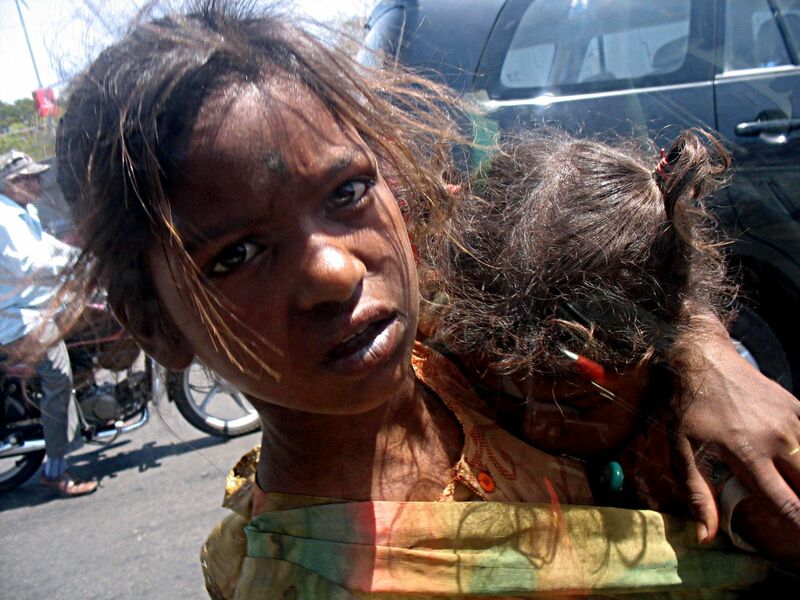 These are a few poignant faces of poor little girls begging on the streets. There is something haunting about the expressions of these children. Once they look at you it is difficult to look away or forget them. A mixture of despair, anger and sadness is all too evident. All these photographs are taken through the car window and there are reflections but they don't take away from the striking photographs. Each of these photographs tell a story...of poverty, helplessness and tragedy. In this photograph the girl has been handed over a baby to hold as this gets them more alms. The baby is very likely to be her own sibling, although there is no guarantee of it. 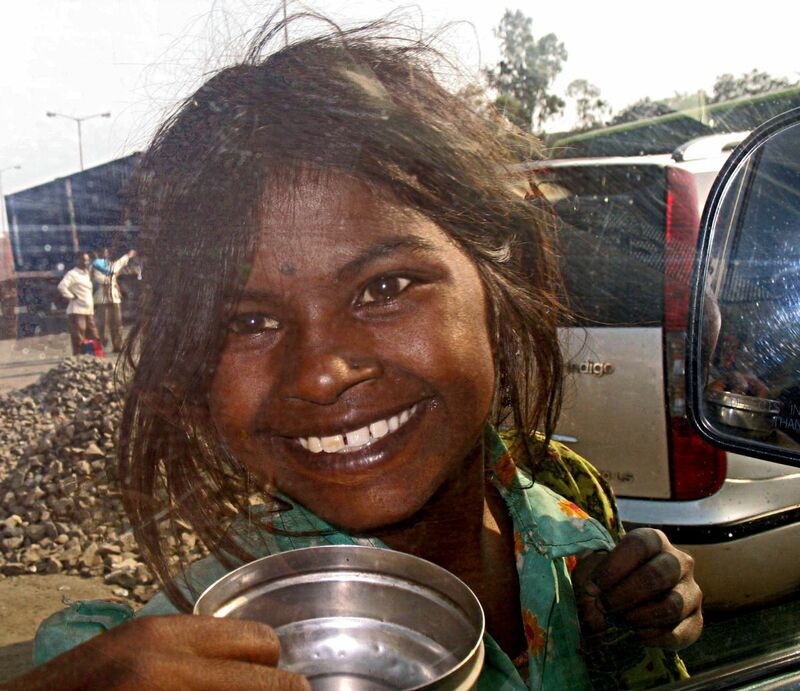 In India it is not just abandoned children who beg. In each of these cases the mothers of the children were begging alongwith them. Sadly, the presence of parents do not guarantee that there will be no matted hair, a clean skin, or a bowl of food. 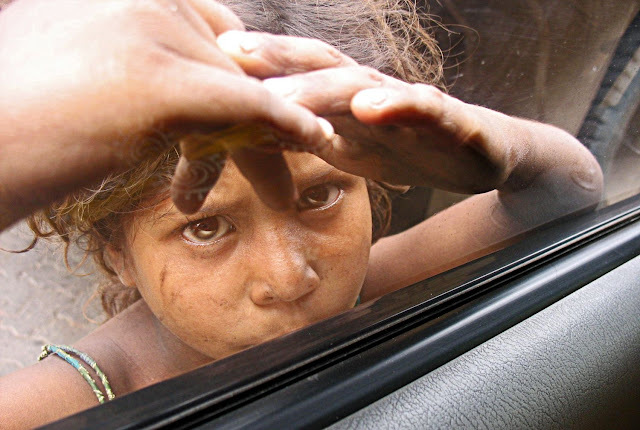 The sad eyes of this little girl stared back at me as she pressed her face to the car window. Her mother was just a few steps behind. This girl was looking sulky but she suddenly flashed a smile as I fished out my camera. Or try the label "Children" for all pictures of kidson this website.